Day 48 of the 1000 day challenge. This morning’s weigh in: 272.3 lbs. 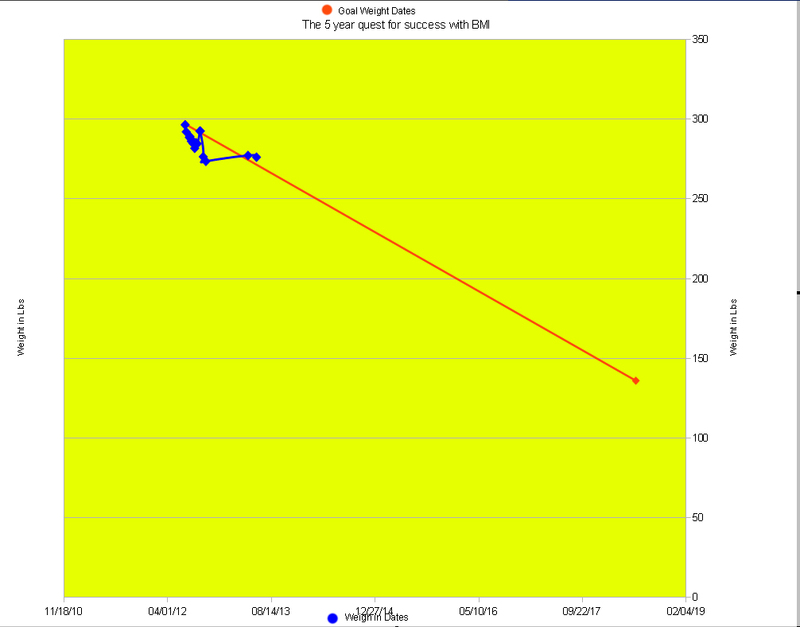 That is a weight loss of 20.3 lbs since 9/3/2012. It’s a weight loss of 24.2 lbs since 6/24/2012, and it means I’ve got somewhere between 95.3 – 132.3 lbs more to loose to get to target BMI weight. Today will probably be a rest day since I’m in a good place. I am not nearly as sore today as I was thinking I would be after that intense workout yesterday, so could workout today, but don’t really want to push it since I need rest from time to time to be able to continue this thing strong in the coming days. The journey will continue again tomorrow.